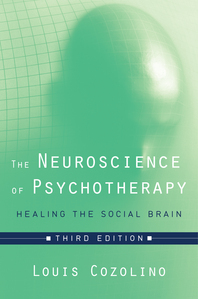 The Neuroscience of Psychotherapy - Description | W. W. Norton & Company Ltd. This groundbreaking book explores the recent revolution in psychotherapy that has brought an understanding of the social nature of people’s brains to a therapeutic context. Louis Cozolino is a master at synthesising neuroscientific information and demonstrating how it applies to psychotherapy practise. New material on altruism, executive function, trauma and change round out this essential book.